Anyone hoping to see brand new stamps and Fri-Dies??? Today we introduce not 1, not 2 but 3 new yummies!!! Let's see what the Girl Friday Ink Squad created with these! Oh my goodness, did I say there would be eye candy? Holy moley, they knocked my socks off, how about you??? Well you've had a lot to look at so far, but how about seeing the actual sets. lots more super fabulous sets to show you over the next 3 days! Fabulous projects from everyone :) And i can tell i already need these on my wish list. Holy cow!! Amazing projects. Very excited!! Love the way they all coordinate, and great images and fonts for the sentiments. Fabulous cards! Love these new stamps and dies. Great sentiments! Awesome cards. Love the sets. They are all so versatile. Wow thanks for sharing all the yummy eye candy. Your cards are wonderful. Love the sentiment and dies. Wow, those heart links are fabulous, and super versatile! Oh my! LOVE these!!!! That die set is just divinely delicious! 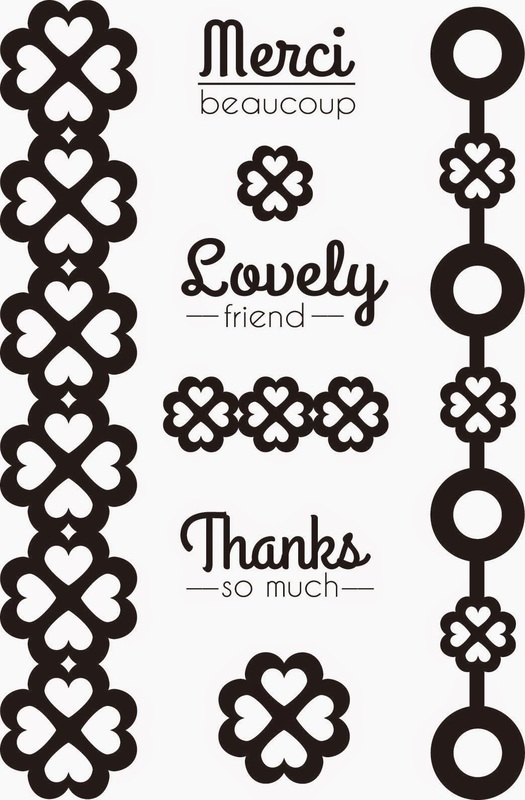 Fabulous stamp set to go with the dies and awesome sentiments. I feel my wallet getting skinnier already ♥ Gorgeous creations from the team. They have definitely sold these yummies so very well today!! Amazing cards from the DT! I just love sentiments. You can never have enough! 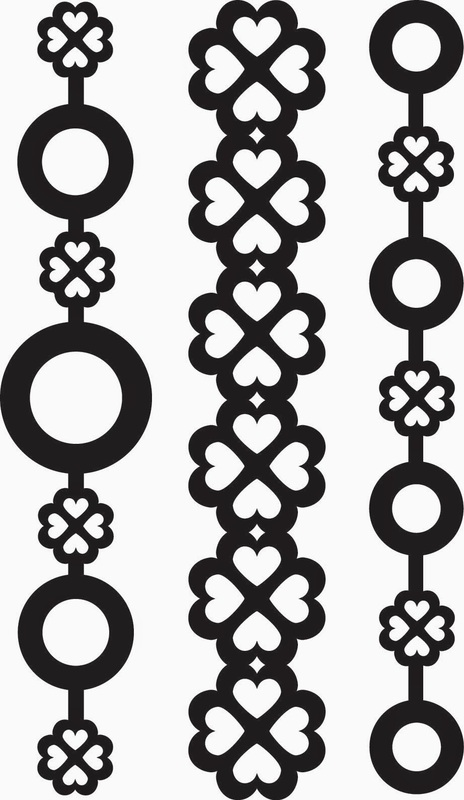 I love the Lovely Links Fri-Dies set of 3 ! Oh wow - these are just wonderful!! Love the Lovely Links!! Such wonderful cards and inspiration! WONDERFUL cards!!! Love the versatility of the stamps and dies! These sets and dies are gorgeous!!! Love all of the DT's cards! Amazing!! What a beautiful dies and stamps! Great projects project cards ladys DT. These are fabulous. Must get these. DMIL's favourite word is lovely. The DT did an amazing job for today's cards. Love that font on the stamps and all the many ways to use those lovely dies!!! That font is ah-mazing!!!! Love the new sets!!! That Lovely Greetings stamp set is AWESOME! Love the mix of fonts and different sentiments!! And your DT girls did an incredible job with their samples!!!! Beautiful work! I'm swooning over the awesome new sentiments and DT samples. Such fabulous projects, love all the inspiration!!! Oh my goodness! If this was the only new release day it'd be a fabulous release! LOVE everything I see here--the DT really inspired me! The new stamps and dies are great!! The DT did a great job using the new fun. Can't wait to see tomorrow!! WOW, fabulous release, I love them all especially the Lovely Links dies! Oh my--what wonderful creations with these new stamps and dies. Super awesome new stamps and dies!! AND WOW - WOW - for the cards your designers have made - incredibly awesome and so stunning!!! Love the new products!! wow... I love all of these! The Lovely Links Fri-Dies are really calling my name... so many possibilities! Beautiful cards, ladies! Gorgeous showcases and I agree 1000000%: fabulous eye-candy and a whole lot of 'must haves' here! Wow! Amazing creations by the DT using these beautiful products! Oh my goodness............lovely card...........the dies are out of this world!!! Awesome cards today. Love the Lovely Greetings! Can't wait for tomorrow. Whoa! I'm gob-smacked. Awesome array of delicious inspiration and products. amazing, I love them and I want them!!!! Yahooo for the new release....the team rocked it! Ooo . . . the DT made some gorgeous cards with these fabulous new sets! I LOVE the sentiment set; those are all awesome sentiments. love these sentiments! And what an amazing array of projects today! Wonderful cards to show off the new release. I'm loving that sentiment set. Looks like a great new release - can't wait to see more! FAB DT cards! I love the "chains". the heart one is so pretty with the different colors filling in the hearts. Great release. Can't wait to get my hands on those dies. Loving this release! Can't wait to see the rest. Awesome cards DT ladies! Day 1 is incredible and so looking forward to the next few days too! Just love the new sentiments and the dies that cut little hearts as well, brilliant!! What a fantastic stamp set...you've done it again! Awesome job! I can't wait until May 1! What awesome stamps and dies. I love what the design team made! Awesome work by the dt! The products are amazing!! Love these !!!! All of the cards showcase the new products beautifully !!! Omgosh, your Fri-Dies are to die for! Oh, such awesome dies and I adore the font on the new sentiments!!!! Fabulous projects today! So many wonderful ways to use these awesome stamps and dies! I love the hearts and the sentiments and fonts are amazing! TFS! Cute new products! Great sentiments! Lovely Greetings is a fantastic name for such lovely sentiments!! Your team is so incredibly talented and creative. I love how these sets all coordinate! And the big sentiments for card fronts are fab. Loooove this release so far! WOW!!!! These cards are gorgeous!!! Cute stamps and dies! Fabulous cards from the team - love those dies!! Oh my goodness, I absolutely love these sets and they may just be my favourite ones so far!! The cards etc made with them are just gorgeous too!! Love all the released products, specially Lovely set of 8 stamps! Thanks for the chance to win! Wow these sets are amazing. So fabulous for so many occasions.